From Mother’s Day to Easter to Christmas, Great One Divine® jewelry is a gift that lasts for generations. Crafted in 14K white, yellow, or rose gold, it’s the ideal choice for a gift that shows you care now and always. By Grace are we saved! What occasion is more joyous than the start of a new life in Christ? Great One Divine® jewelry will be a beautiful reminder of this spiritual milestone. Looking for an elegant and unique gift for a loved one making their First Communion or Confirmation? 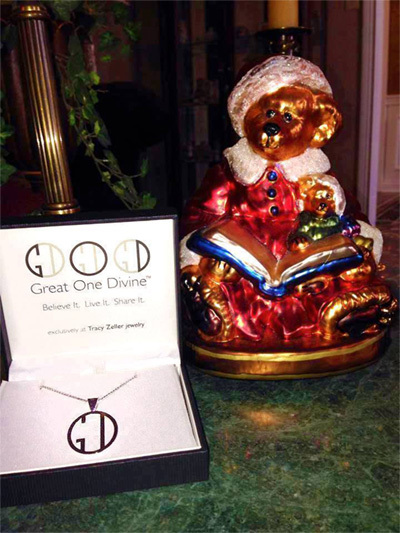 A Great One Divine® piece will always remind them of their special relationship with both you and God. If you are looking for a meaningful gift for your wedding or anniversary, Great One Divine® can help you and your spouse remember who is at the center of your relationship. Keep your significant other close to your heart with a pair of Great One Divine® pendants. It’s a beautiful reminder of the faith you have in each other and in God. 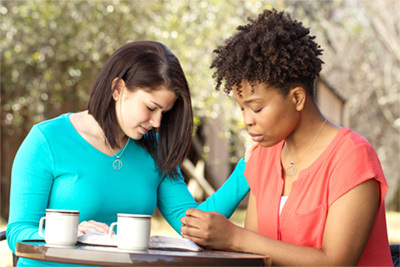 When your child or loved one is moving on to the next stage of their lives, Great One Divine® jewelry can help remind them to stay strong in their faith, wherever their new path leads. Whether your loved one is leaving for basic training or deploying to a foreign land, it’s hard to see them go. Send them off with a Great One Divine® pendant and know they go with a subtle symbol of their faith and a reminder of your love. Change can be scary, even if it is changing to something better! First job, dream job, or mid-life career change, we trust in Him to guide us through life’s twists and turns. Buying a first home, college acceptances, epic weight loss, adopting a child – when life is blessed, commemorate these milestone events and exciting memories with Great One Divine® jewelry. Thank those who invested in your upbringing, encouraged you in your faith, and guided you in your spiritual walk. Great One Divine® jewelry is a thoughtful gift they will cherish forever. Those who have a heart to serve and build up others will be reminded of those they have blessed and of the example set by our Eternal Caregiver. When a friend or family member is seriously ill, it’s difficult to know how to help. A Great One Divine® piece can provide a comforting reminder that you are praying for their return to health and that God is always with them. Not sure what to get your loved one for a special occasion? Great One Divine® is the perfect choice! Two day shipping to most locations in the continental USA. Great One Divine® is the perfect gift for all Christians. Regardless of our denomination or church affiliation, we all believe in the same God. A beautiful way to share your faith or as a gift for someone who shares your beliefs. Sometimes we don’t need a reason to show we care. 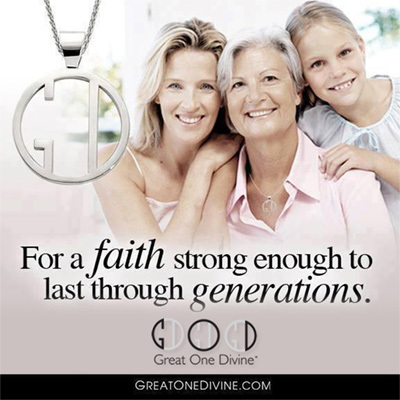 Great One Divine® jewelry is the perfect reminder of faith, hope, and love.